The job of an airport firefighter is slightly different from the jobs of municipal firefighters. Both types of firefighters have to deal with fire emergency situations and also respond to situations where there is an immediate danger of fire taking place. In case of an airport, there are specific dangers that a firefighter working at airport must understand. Planes run on highly inflammable fuel and contain lots of it. If there are passengers inside the plane then the fire must be extinguished very quickly. If the fuel tank explodes then the fire can spread rapidly before there is any chance of saving passengers. An airport firefighter is trained to handle such emergencies in the airport area. Fire can also occur at other facilities, buildings and installations at the airport. Generally, airport buildings and structures are made to highest standards. Planes also meet stringent structural standards. Due to these advantages, there is less chance of fire breaking out at an airport. However, even with all safety measures in place, occasional fire incidents at airports do happen. Firefighters working at airports must be knowledgeable on special firefighting requirements involving airplanes. Airports employ firefighters who are trained to handle airplane fires. Airport firefighters are responsible for handling all types of fire emergencies within the airport boundary. Major aircraft fire accidents are very rare due to improvements in aircraft design and implementation of strict safety regulations. If there is an aircraft fire accident then it usually involves undercarriages, engines, tires, brakes and wheels. Even a minor fire accident requires immediate emergency response to avoid the fire spreading and damaging the whole plane. Sometimes, the fire in an airplane may not be visible from outside. The aircraft sensors detect fire and alert the pilot. The pilot in turn alerts the traffic control from where the instructions to firefighters are issued. 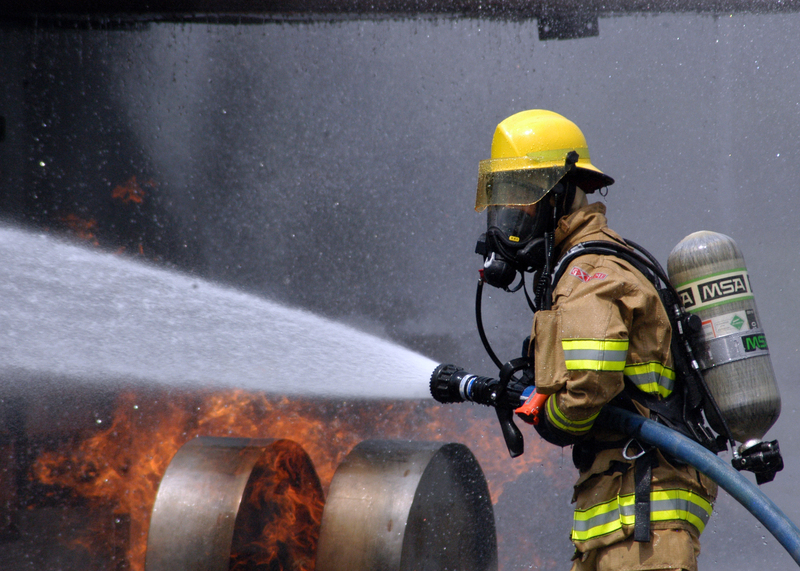 An airport firefighter is required to respond to any emergency or non-emergency fire incident. The personnel are required to provide rescue services as well. They must be well trained in the fire apparatus they operate. They have to handle the fire incident without endangering the lives of passengers. They may be asked to assist medical care team. Their assistance may be needed in clearing excess ice or snow at the airport. They are put on standby if there is a freak weather warning. The firefighter training can take two years to complete. The training involves airport specific fire concerns and mastering airport firefighting equipment.